The film, directed by two-time Academy Award-winning documentarian Malcolm Clarke, was screened at Hotel Indigo Los Angeles on Tuesday. “The City of Angels recognizes that diversity is our strength. We will work shoulder-to-shoulder with people of every color, every creed, every religion and every nationality to keep our economy strong,” the Senator affirmed. The film’s title pays homage to the 16th U.S. President Abraham Lincoln and his inspiring inaugural address when Lincoln sought to cool the raging passions of his fellow countrymen who were hell-bent on hurtling toward a devastating civil war. “We are not enemies, but friends. We must not be enemies. Though passion may have strained, it must not break our bonds of affection,” Lincoln warned at his inauguration on March 4, 1861. “The mystic chords of memory, stretching from every battlefield and patriot grave to every living heart and hearthstone all over this broad land, will yet swell the chorus of the Union, when again touched, as surely they will be, by the better angels of our nature,” he advised. Seeking to avert war, Lincoln used his speech to plead with all Americans – North and South – to let the “bonds of affection” of the “better angels of our nature” overcome their seemingly intractable differences in order to preserve the future and promise of the newly-minted American Union. Considered the wisest of American presidents, it is no surprise that his speech would inspire a documentary that seeks to lead the East and the West back from their recent path of discord and conflict, to one of harmony and mutual prosperity. 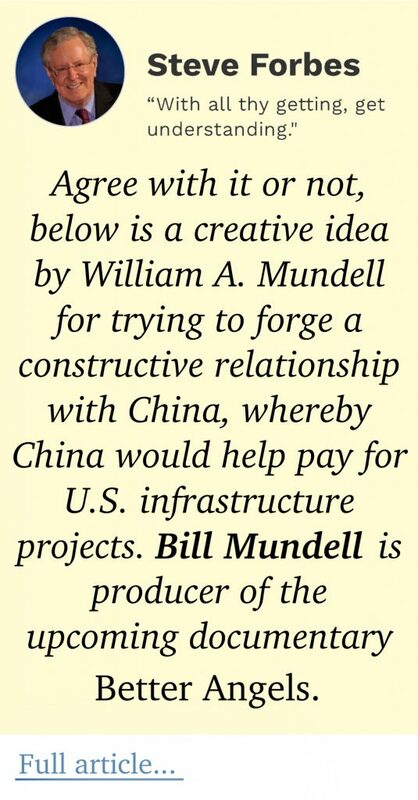 “I was motivated to make the American and Chinese people, as distinct from our governments, true stakeholders,” said one of the film’s producers, Bill Mundell, former economics professor-turned-filmmaker, at the film’s screening, sponsored by the China General Chamber of Commerce-USA/LA on Tuesday. “Obviously our relationship has reached a critical inflexion point. In my view, it is more important than ever to have an informed citizenry of ordinary Americans and Chinese who can act as ‘Accidental Diplomats’ and bridge the divide between us before it’s too late,” he said. The film seeks to show an enlightened alternative to isolationism, nationalism, and cold war posturing. It takes classic talking-head interviews that range from high-ranking government heavyweights — former U.S. secretaries of state, congressmen, and captains of industry — to blue-collar workers, and combines them with touching personal day-to-day stories of folks-next-door from both countries opening their hearts and minds to find their way across the great cultural and political divide. 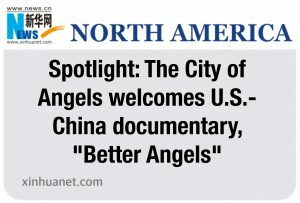 At root, “Better Angels” is not a film that explores the thornier challenges yet to be ironed out between the U.S. and Chinese governments, but instead focuses on those ordinary individuals from both countries who have, by accident or design, created personal bridges between the two nations and opened up pathways for many others to experience greater cross-cultural exchanges, understanding and respect. 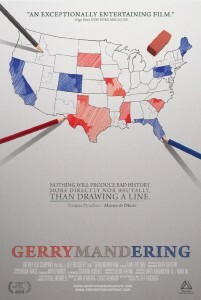 Former U.S. Republican Congressman David Dreier who has been assisting the film since it began, pointed out that the two nations’ fates, trade and economies are already so inextricably entwined that anything we do to punish the other will inevitably boomerang back on ourselves. “Chinese do not think of America or Americans as the enemy. They think of us as allies, which historically we’ve always been,” he told Xinhua. The former congressman showed up to support the film even though he had just lost his family’s ancestral home in Malibu in the devastating wildfire in Southern California this month. “I intend to rebuild my home and rebuild our relationship with China,” said Dreier, adding that it’s helpful for preserving global stability and prosperity. “China is transforming from the world’s largest manufacturer to the world’s largest market. With twice the number of consumers as our country has people, this is the exact wrong time to create conflict between our two great nations,” Mundell told Xinhua. “The Chinese are predisposed to buy American products, but that will change if this conflict escalates. Why jeopardize our own wellbeing and future prosperity?” he said. “Here in LA and 7,000 miles (11,265 km) away in China, we recognize that our people share the same dream: to prosper, to provide a better future for our children and their children, to be able to put food on the table and roof over their heads after a hard day’s work. To drive global developments in technology, medicine and infrastructure,” De Leon summed it up. Much like the film, he promised, “As long as we continue to talk to each other, to embrace each other, accept each other, and learn from each other, we will be successful.